G-Technology isn’t a name many would be familiar with, but the brand is actually revered by the professionals in the film and audio industry. 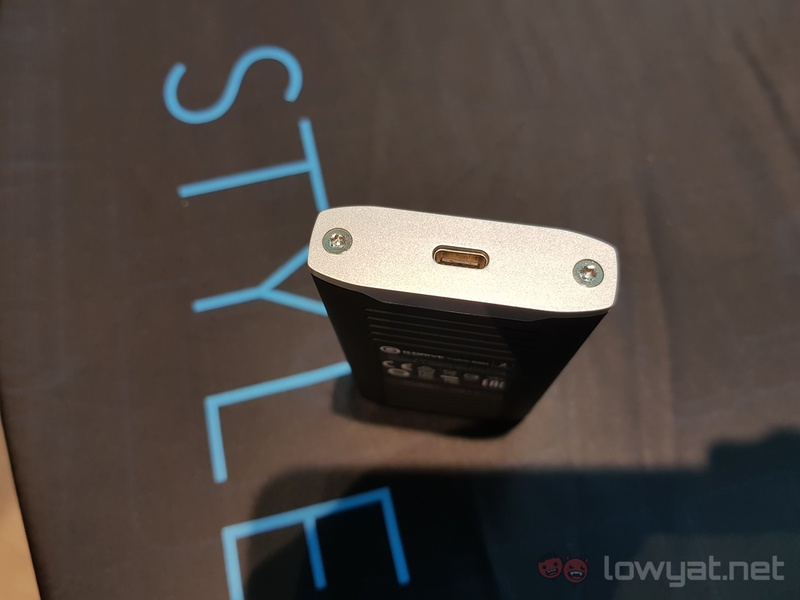 The brand’s parent company, Western Digital, decided to give a brief introduction during the launch of the WD My Passport Wireless SSD and SanDisk Extreme Portable SSD. 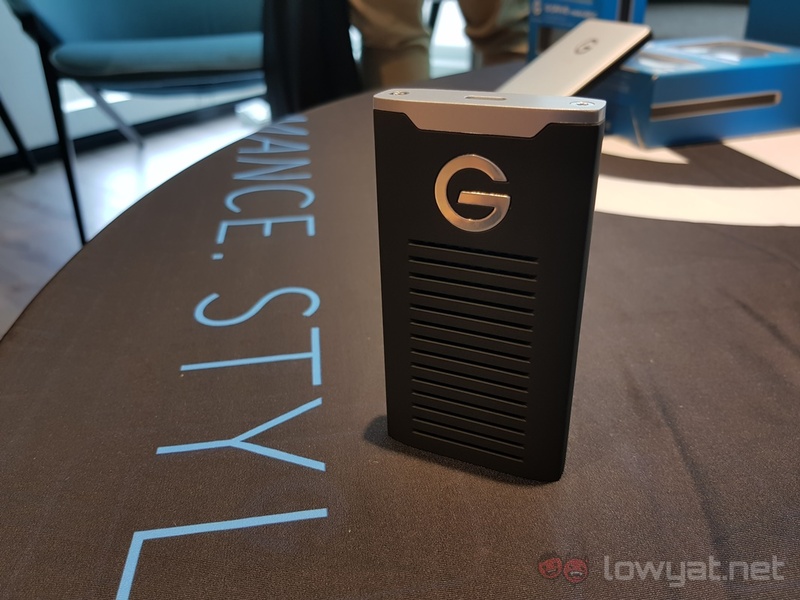 Specifically, two of the G-Technology products that Western Digital was quite eager to talk about was its G-Drive R-Series mobile SSD and the G-Drive with Thunderbolt 3. Let’s start with the R-Series mobile SSD. According to Western Digital, the portable storage unit’s all metal enclosure enables it to withstand up to 1000G of pressure, as well as survive drops from a maximum height of two metres. 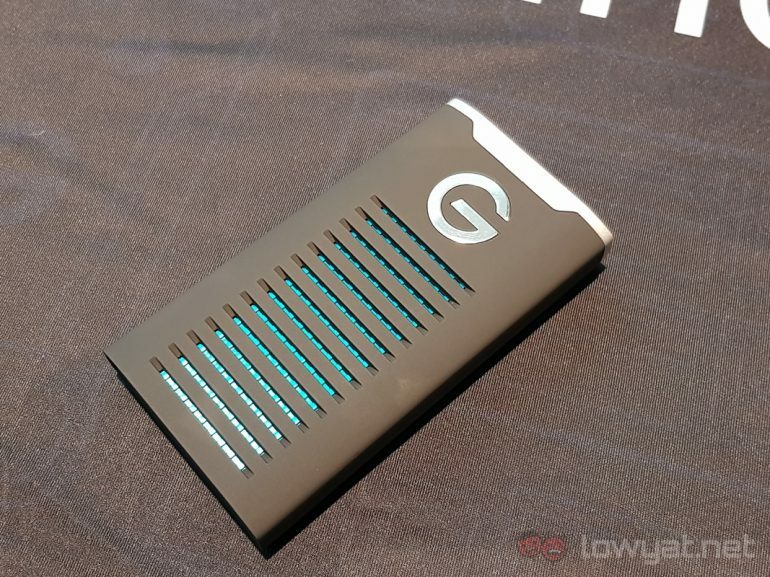 It also uses a USB 3.1 Gen2 (Type-C) port, meaning that it can achieve transfer speeds of up to 560MB/s. The R-Series mobile SSD comes in three storage variants: 500GB, 1TB, and 2TB. 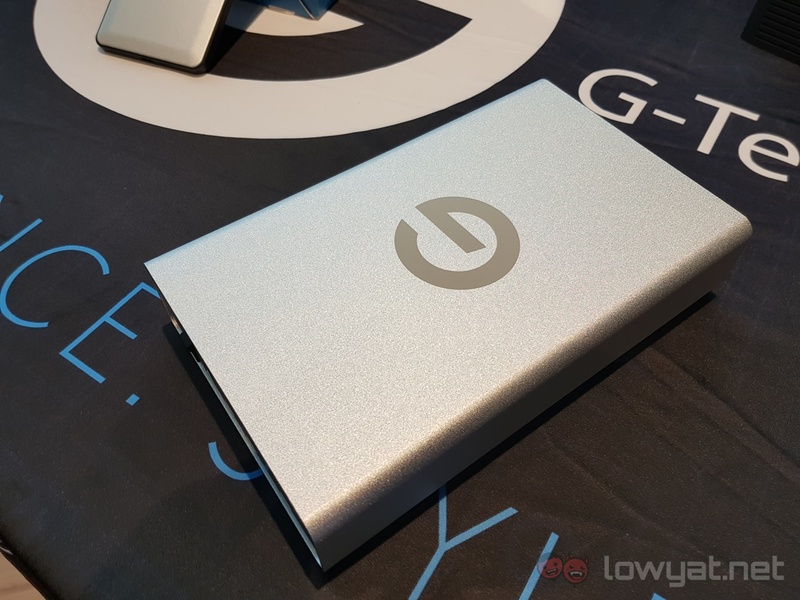 The second product, the G-Drive with Thunderbolt 3, was undoubtedly the highlight of the two. Featuring an all-aluminium enclosure as well, this storage solution can be outfitted with NVMe-class SSDs that are capable of reaching transfer speeds as high as 2.8GB/s. For context; that kind of speed would allow a user to transfer a 1TB file in less than seven minutes. Storage-wise, Western Digital said that the product could have up to 12TB of storage in a RAID format. 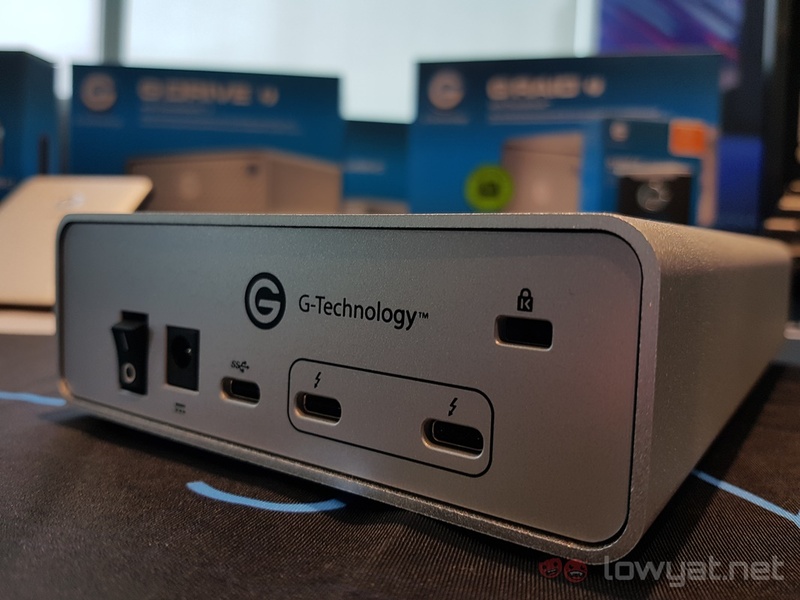 As its namesake suggests, the G-Drive comes with two Thunderbolt 3 ports, and both ports will support passthrough. In other words, if your notebook has a Thunderbolt 3 port, you can simultaneously transfer files and charge up your notebook. At the time of writing, Western Digital did not specify when it would be bringing in these products, nor was a local retail price provided. 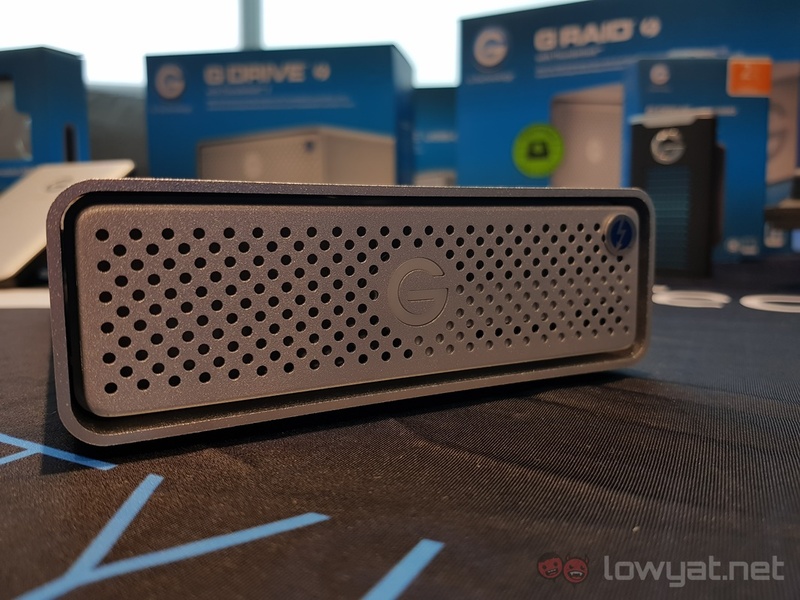 As it stands, the G-Drive with Thunderbolt 3 won’t be cheap should it arrive on our shores; the global SRP for it is set at US$7999 (~RM32206). However, it should be pointed out that these devices are enterprise-class storage solutions, and as mentioned at the beginning, they are aimed at professionals looking for speed in a compact form-factor.